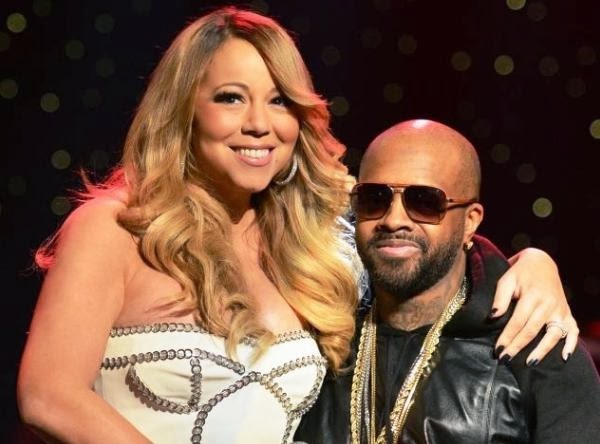 Jermaine Dupri is tired of taking the blame for Mariah Carey’s poor album sales. Carey’s manager/producer jumped on social media to defend himself. First, Dupri posted a few tweets from people bashing him for promoting Carey’s new nonalcoholic drink instead of her album. Then Dupri gave his side of the story. Check out his comments below. Carey’s latest album, Me…I Am Mariah: The Elusive Chanteuse, debuted at No. 3 on the Billboard charts selling 58,000 copies first week. It quickly sank the second week with less 15,000 copies sold. That’s the singer’s smallest opening sales for a non-holiday album. But Carey was still in good spirits and debuted a new melodic beverage called Butterfly on Tuesday. The drink is available exclusively at Walgreens.